Healthy Home Heating & Air is committed to your complete satisfaction. It is all about you and your family! We know everything you hold dear and value most is in your home, so we promise to treat you right. We will provide your family with expert technicians that have been drug tested and background checked to ensure your safety and satisfaction. Our goal is to provide you with an unforgettable, exceptional service experience. At Healthy Home Heating and Air, we’re problem solvers who can design ideal heating and cooling systems for your home or business in Monroe, NC and the surrounding areas. We have the resources to keep your home comfortable and fix indoor air quality issues. We’re your local experts for air conditioning, furnace, and heat pump repair and replacements. Summers are hot in North Carolina and we can help you get ready for the season with our annual maintenance plan. We’ll clean the equipment and replace any worn parts to ensure your system runs efficiently and you and your family are comfortable throughout the season. 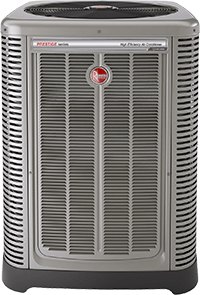 If you need a new air conditioner, our team will help you select the best system for your home and budget. If your system stops working and you need it fixed, count on us for quality AC repair. We also offer replacement and installation options as well. We recommend replacing your system with a newer, more efficient system after 15-20 years. 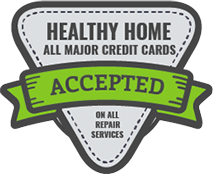 Healthy Home Heating and Air also offers financing on approved credit. We treat our customers and employees like family. We’re always close by when you need us! We actively participate in local Charlotte programs and we proudly support the Troops. When it gets chilly in Charlotte, Healthy Home Heating and Air is your source for comprehensive heating services. 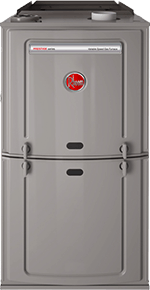 We're knowledgeable about furnaces from many manufacturers, and we have the tools and training to work on heat pumps or package units. Our resources go beyond heating and cooling for homes in Charlotte. We're skilled at addressing concerns about indoor air quality that could be affecting your health. If you're sensitive to pollen or other allergens, we'll install and maintain an air cleaner at your home or business. We install humidifiers that will eliminate dryness associated with furnace operation. We can also perform duct cleaning or dryer vent cleaning to restore efficient air flow. Contact us today to schedule an appointment in Charlotte and the surrounding areas! "The owner, Bill, is a great guy. He's a straight shooter that will give you the honest answers to your crazy under-researched questions. I'll recommend Healthy Home Heating and Air to anyone. Thank you to Bill and his team!"